World Tourism Day (WTD) is celebrated each year on the 27th of September with an objective of fostering awareness among the international community of the importance of tourism and its social, cultural, political and economic values. The date marks an important milestone in world tourism the adoption of the UN World Tourism Organisation (UNWTO) Statutes on 27 September 1970 and is being celebrated since 1980. The timing of WTD is particularly appropriate in that it comes at the end of the high season in the northern hemisphere and the beginning of the season in the southern hemisphere, when tourism is of topical interest to hundreds of thousands of people worldwide. If the world is indeed a book, and those who do not travel read only a page, India indeed has several chapters to offer. Right from the mountains which have been a source of wonder and inspiration for human societies since time immemorial to the beautiful beaches of the mighty seas, from rich forests teeming with wildlife to cultures so diverse it is difficult to believe they co-exist. The awe and wonder that is India once impressed the German Max Mueller so much that he was of the opinion, “If I were asked under what sky the human mind has most fully developed some of its choicest gifts, has most deeply pondered on the greatest problems of life, and has found solutions, I should point to India”. India has thus been and still stands strong as a favoyrite touristic destination for many with an impressive and culture-bound ‘Atithi Devo Bhava:’ mantra. Yet lots more needs to be done for pitching the country as the tourist capital of the world. Tourism is the world’s largest industry and therefore this sector comes with tremendous opportunities and challenges. 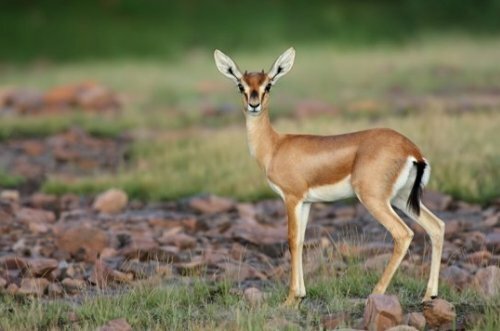 The United Nations has proclaimed 2010 as the International Year of Biodiversity and in tune with it, WTD this year is themed on Tourism and Biodiversity. With this, WTD 2010 has given a call to conserve the biological diversity on our planet by raising awareness of tourism’s role in facing this urgent challenge. Indeed this can only be achieved by carrying out more responsible or sustainable tourism aptly termed ‘ecotourism’. Delhi Greens has already made attempts at promoting this ‘eco’ form of tourism and given an innovative concept of ‘urban ecotourism. The Government of India marked the day by committing the Nation towards “safe & honourable tourism and sustainable tourism”. The Union Minister for Tourism & Housing and Urban Poverty Alleviation, Kum. 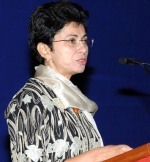 Selja addressed a gathering at the signing ceremony of this Pledge in New Delhi. The Pledge read, “I/We solemnly pledge and reiterate our commitment to conduct our business in a manner that befits the culture and ethos of our rich and ancient civilization, and the tolerant and accommodating nature of our multicultural society and protects all individuals, especially women and children from all derogatory acts which are contrary to the spirit of our country. We hereby commit to abide by the Code of Conduct for Safe and Honourable Tourism.